There is definitely no other room that is more personal than the bathroom. This is where we require our privacy and it sometimes may seem like a luxury for every bedroom to come with an attached bathroom. There are scenarios which are unavoidable like the master bedroom or even the guest room, but there is a design fix for everything including a shared bathroom. Kids to a certain age even if they are the opposite gender may share a bathroom, while still having separate bedrooms. 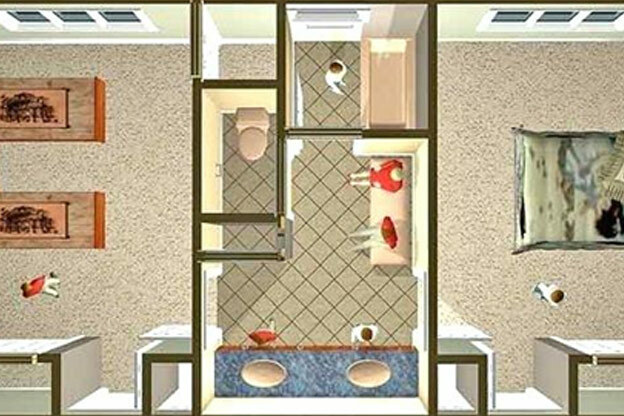 The concept is that the occupants from two different bedrooms may access the same bathroom, separately. But how do you know if this is the right solution for your home? For the uninitiated, here are some details on Jack and Jill bathrooms. The first case in point here is that that Jack and Jill bathrooms save space and money. It is easier to maintain one space being used by multiple children, and this scenario gives the owner certain architectural privileges, like a double sink, or a wall separated shower, a bigger bathroom experience, and not to mention less material cost over all. Larger families tend to benefit from shared bathrooms amongst children especially. The premise of the Jack and Jill bathroom relies on sharing one bathroom among two users from two rooms. Now this may seem like a problematic situation in terms of space and usage. But, often times it is beneficial to have a spacious shared bathroom rather than two severely cramped bathrooms. Start by insuring the locks are properly suited for the situation ( there are special locks available as per your requirement). There may be a shower area which is completely separated within the space and also have a WC which has a wall around as well. This can at least give some immediate privacy if the other user were to accidentally walk in. Two sinks are one of the small luxuries that the Jack and Jill bathroom should surely provide. 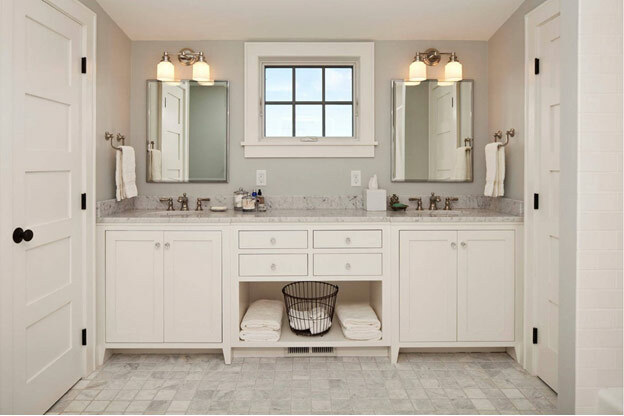 This gives the users a sense of a little bit of personal space where they may use the sink and vanity mirror for their own personal toiletries and vanity products. When so much of the space is being shared, it is good to not have the sinks being shared as well. Especially in the case of two siblings using a Jack and Jill. Another major requirement not to be overlooked is storage and space. Since there are more users than the regular for this sort of bathroom, there should be ample space for the bathroom supplies and user required storage. Here is the most typical of all the layouts. There are two entrances, one from either room that lead directly into the bathroom which is a free for all. There is a big bathtub or shower as per the users requirement and also a WC as you enter from one bedroom and a dual vanity sink situation when you enter from the other bedroom. The drawback here is that there can only be one user at a time in this bathroom. 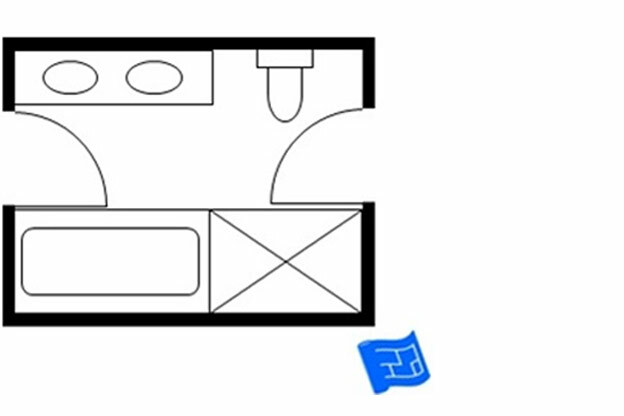 Though this is the typical situation for most Jack and Jill bathrooms, there are better ways to plan out a Jack and Jill layout. 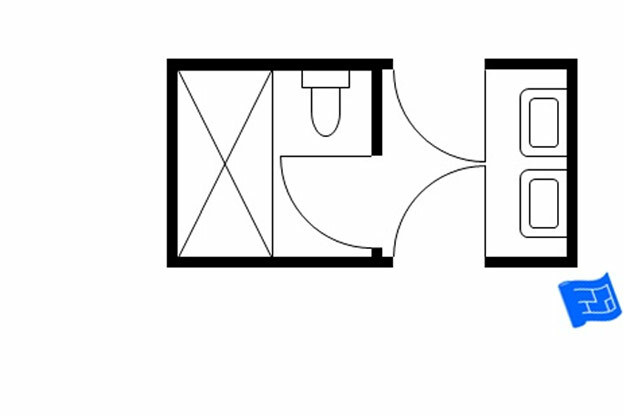 This layout too contains two entries from opposite sides and there is an shower cubicle and a WC but has only a single sink. The shower cubicle which can be used privately without the concern of the other door being open due to the way it is closed from all sides is the positive here. Although the lack of dual sinks leaves something to be desired. This may be a good solution for those who are really swamped for space. Vanity storage or even storage otherwise may be a challenge here with this layout. This layout has both entries on one side. This is for houses where the vastu does not allow opposite side access. 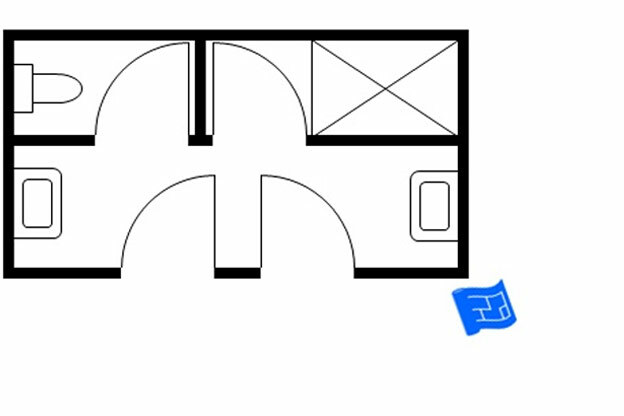 This means the two bedrooms sharing this bathroom will be separated with a wall but given access to the full bathroom. 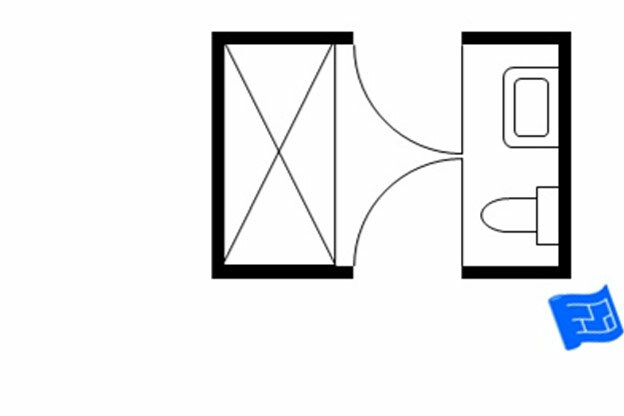 This layout offers a cubicle like plan where one of the users may use the WC while the other user is in the shower. The sinks here are completely separate and can be used while the other user can access other functions of the bathroom. This may very well be the best layout for conserving some semblance of privacy while still having a Jack and Jill bathroom. preferable for opposite gender siblings. This layout seems to be the most balanced Jack and Jill layout for most homes. There are two vanity mirror sinks which are directly accessible from either bedrooms from opposite sides. Since the activities around the sink are semi private, the location is apt and easily accessible. Since the requirement here is dual utility, the biggest concern with these bathrooms being privacy. The WC and shower area have a separate door way altogether which allows two users to utilize the bathroom with complete privacy. The overarching idea here being space conservation, with a twist, Jack and Jill bathrooms may be the right solution to your house layout. Another great use for these bathrooms is for the elderly who may require sudden assistance. Or even sharing a bathroom with another room for ease of access.These bathrooms are great in balancing the wet vs dry areas of the space for utility by multiple users. The situation may be perfect for “Jack” and “jill” to use as they please.